Roger Jones is the chef owner of The Harrow at Little Bedwyn in Wiltshire, which held a Michelin star for 12 consecutive years from 2006 to 2018, and this year won the AA Restaurant Wine List of The Year award. A regular fixture on the UK wine circuit, Jones judges at a number of wine competitions, including the Champagne & Sparkling Wine World Championships and the Taittinger Sommelier of The Year award. He also hosts a number of wine competitions of his own at Little Bedwyn, such as the Tri Nations Wine Challenge. In his spare time, Jones makes Pinot Noir, Chenin Blanc and Chardonnay in South Africa for his Jones Family Collection. In the context of wine it would be the ability to go down to my cellar armed with my Coravin and cherry pick an old wine from our 1,000 bin list to test if it is suitable for serving to the punters, needing more time or to be put in my private cellar for my own guilty pleasure. 2: What is your guilty pleasure wine from the Côtes du Rhône and why? Cotes du Rhône offers exceptional value and quality, and we have teamed up with Guigal, Delas and Vidal-Fleury to offer our customers not only free samples of these with our set 5-course lunch menu, but also a free selection of two white and one red Cotes du Rhone with our cheese plates, highlighting the diversity of these wines especially the white wines. Côte du Rhône offers a fabulous platform for food matching, whether it is a white with fresh lobster and scallop sashimi, or a red with grouse ravioli. 3: What’s your guilty pleasure when you’re not working? Watching Wales play rugby, especially with my friend Sam Warburton, the former Lions and Wales captain, normally in a decent box. 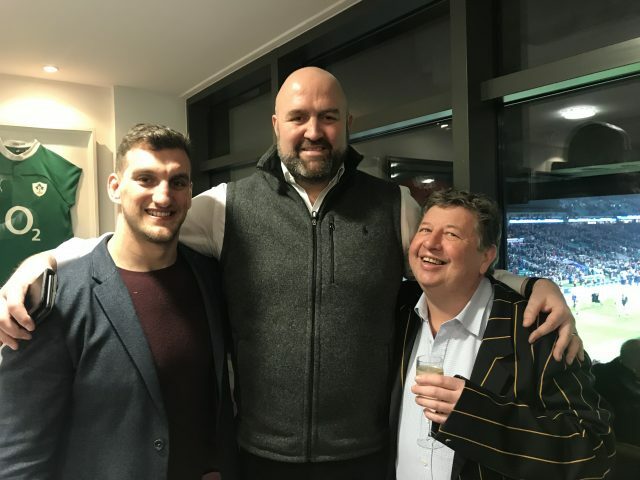 I’m quite lucky in that I’m one of Sam Warburton’s patrons for his Testimonial Year initiative, which is raising money for great charities like the NSPCC Wales and Velindre Hospital. 4: And finally, what’s your guilty pleasure food? Lambs testicles, although they are not that common in England, but luckily I have a good butcher in Aberystwyth in Wales who ensures that I get my yearly quota. It’s important to only eat them in the summer months when the flavour is subdued.